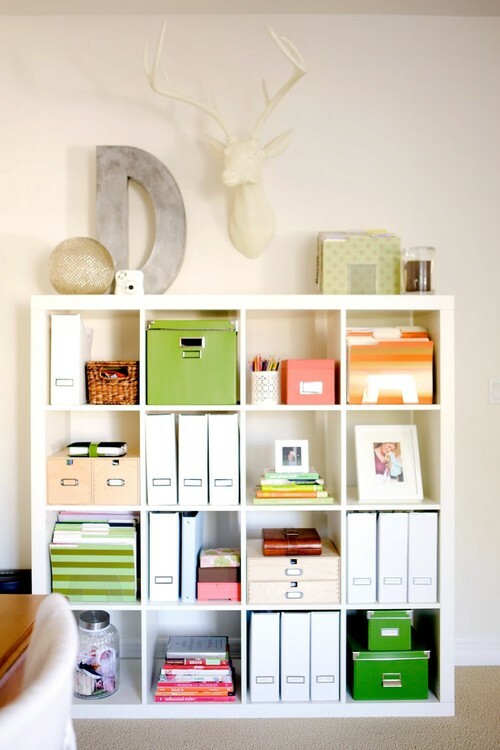 Step one starts here -- Photo Organization suggestions. February 1, 2017 by High Desert Frameworks! 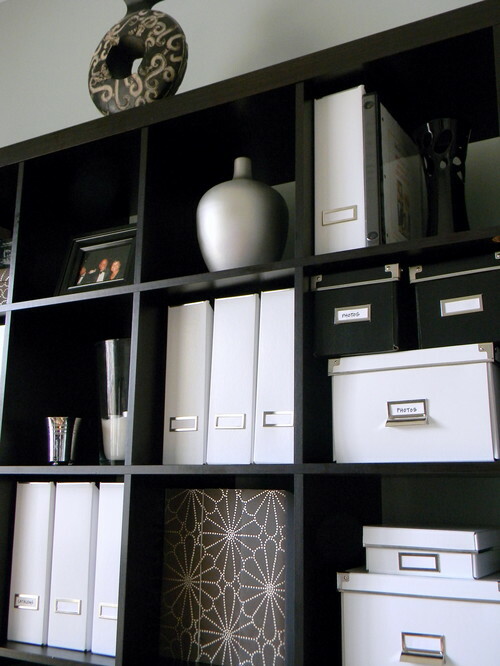 We previously posted topics about digital image and photo print organization and now comes: The six steps to photo organization as told by Cathi Nelsona Houzz Contributor and founder of the Association of Personal Photo Organizers. Here at High Desert Frameworks, we feel the two most important steps are -- Find a workspace and digitize/back up. For many of us, a project of this nature isn't going to get done in a weekend. Find a workspace that you can start, stop and restart your project until completed. Nothing is worse than putting a project to bed before it is completed. Due to the fact that we scan photo's and have recently added our "General Purpose Photo Scanning" service to our scanning line up we truly appreciate how important it is to scan and back up your data! Scanning / digitizing your photos allow you to share them via social media, facebook and email. You can also restore, enlarge and ehnance your images then custom frame! What a fun way to bring back memories to you and other members of your family. 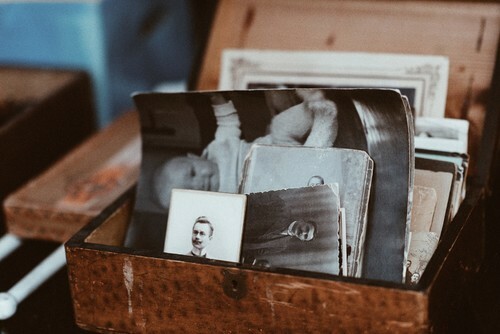 It's never too late to start preserving your memories for a lifetime. Don't wait until it is overwhelming. If you feel like you have a "ton" of photo's -- take it easy and use the 6 steps as outlined in Cathi's article. After all -- Just take one photo at time and it will get done! If you are looking for help in scanning, printing and custom framing please look us up here in Central Oregon at High Desert Frameworks! Your one stop shop for digital printing, scanning and custom framing. Preserving Life's Memories - One Photo at a time! Photo, Slide and Negative Scanning services at High Desert Frameworks! January 26, 2017 by High Desert Frameworks! It's the things in life that are temporary. The experiences are forever. We bet that you don't remember the suitcase you took on your first airplane ride but we do believe that where you went and what you did still resonates with you. Memories and experiences are what we recall and cherish. This holds true to your past and all the memories you have "stored" in your photo prints. Photo's are a visual tool that helps you recall the past as if it was yesterday. Why not digitally preserve your photos for a lifetime as well as share them with family and friends. Store them locally, in the cloud, and on social media sites like Facebook. 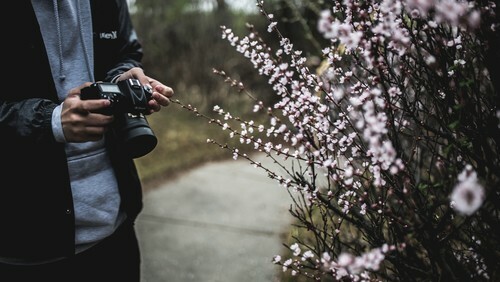 Not everybody owns a quality photo, slide or negative scanner and those that do know how difficult it can be to manipulate the complex scanning software. Yep -- High Desert Frameworks in downtown Bend Oregon can scan your printed photographs, 35mm slides and film negatives. We can restore, print, enlarge, duplicate and enhance your images. For years we have encourage our clients to "Live Your Life - Frame Your Experiences." 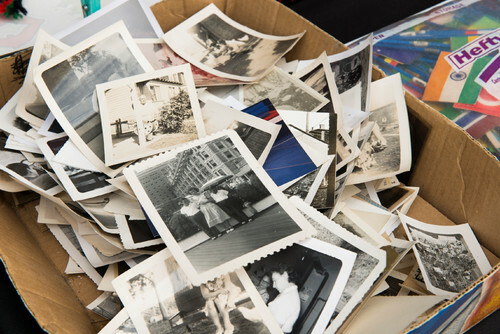 Let us help you preserve your memories and life events! Save 20% on our scanning services when you print your scanned images at High Desert Frameworks! For more information and basic scanning pricing please visit our scanning services page found at: Scanning. For information on our digital printing services please visit: Digital Printing. Don't let your experiences become forgotten. Cherish and preserve your memories. And you thought your accountant hated you. How to avoid the shoebox syndrome. January 11, 2017 by High Desert Frameworks! 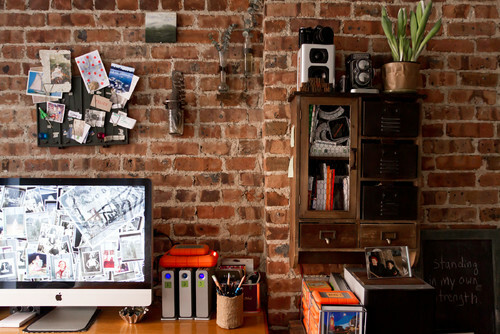 Last week we posted a great article by Brenna Malmberg, a member of the editorial staff at Houzz.com and her solutions for digital image storage and organization. She's back with some great ideas to handle physical photos! What do you do with all the hardcopy photo's from your family, friends, and your life experiences? Why not organize them! Don't forget that High Desert Frameworks can help you digitally scan them, save them in the digital world, enlarge and print select special images. But don't you also want to be able to preserve the original photos in some organized manner? Isn't 2017 the year to get organized AND appreciate your printed and digital images? We hope you let High Desert Frameworks help preserve your life events and memories. Snap Snap Snap: Gather, Back Up, Categorize, and Maintain. But don't procrastinate! January 4, 2017 by High Desert Frameworks! We hope that 2017 will be your year for photo organization! It will take some time but well worth it in the long term! Happy New Year from the staff at High Desert Frameworks! May 23, 2016 by High Desert Frameworks! Have you wanted to ask the following burning questions? Q. How do I preserve my digital photo library, with the photos at full resolution? Is an online database better than on the computer’s hard drive? Q. What can you do with slides? Many years of my wonderful family photos are only on slides. Can I even get them printed? How do I preserve them? Q. I have numerous family photo albums dating to the early 20th century. How can I best scan and preserve these digitally? Should I still keep the originals after digitizing - or is it OK to discard them? Q. My question is how to best preserve negatives from the photos my father took during WWII. They are uncut and have been stored rolled up and in either cardboard sleeves or old film canisters. I had the images scanned by a local photo store a few years ago and the film is still pliant and uncracked. A whole bunch of people already asked the questions for you. Here is just one answer from a wonderful NY Times article on Archiving and Preserving your Family History. The article also addresses movie film (which we do not duplicate) and provides some great independent links to archival and storage options+++. Most definitely worth the read! Here is just one answer from Bertram Lyons, an archivist at the American Folklife Center of the Library of Congress in Washington. "Look for vendors who offer more than just JPEG deliverables. At the very least, if you are going to pay to have your slides or prints scanned, make sure the vendor delivers an uncompressed file (e.g., TIFF), and request at least a resolution that yields 6,000 pixels across the longest dimension of the image. For a 10- x 7-inch print, that would be 600 ppi (pixels per inch). This will ensure high-quality viewing and printing options for future uses." Source: Tips on Archiving Family History (part 2) [ http://goo.gl/AMlzIR ]. 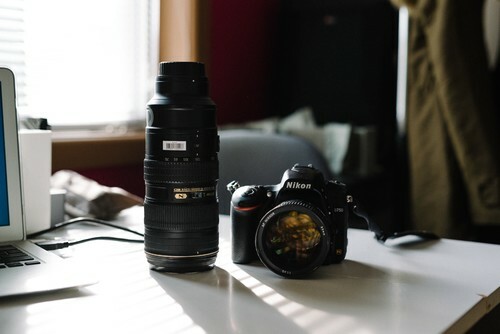 High Desert Frameworks scanning solutions and our philosophy are based on providing the best possible duplication, at the highest resolution that allows for future options. High Desert Frameworks utilizes two, top of the line professional Epson art and film scanners to produce stunning results for our clients. We scan your photo, 35mm slides and film negatives, 110mm, 120mm, 126mm, 4x5 and medium/large format negatives up to 6000ppi, clean them up, color correct / restore if needed and then provide them to you in a digital format. When requested, files are provided to you in both tiff and jpg file format. A typically 35mm slide scanned at 6000ppi would easily provide a 24" x 24" digital print and possibly larger depending on the original photo quality. A typical 35mm slide scanning project underway at High Desert Frameworks -- Clients slides are from 1950-2010. We are your one stop solution: Scan, Print and Custom Frame! +++ If you are in need of archival storage solutions please call, stop by or email us as we can order for you or provide options.